He made the challenge in his annual letter to shareholders. “Today I challenge our top retail competitors (you know who you are!) to match our employee benefits and our $15 minimum wage. Do it! Better yet, go to $16 and throw the gauntlet back at us. 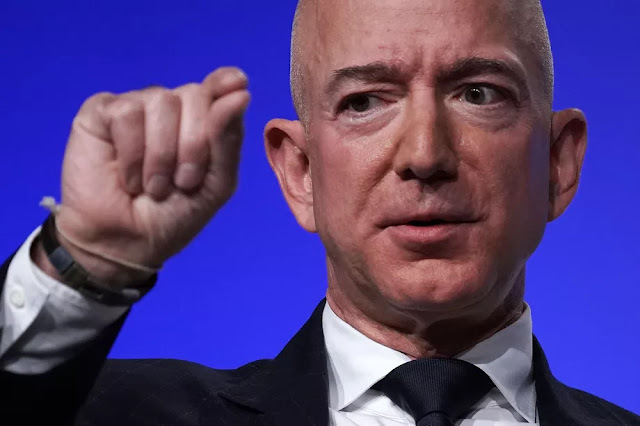 It’s a kind of competition that will benefit everyone,” Bezos wrote in the letter, filed with the Securities and Exchange Commission. Arguably Amazon’s biggest retail competitors in the U.S. today, Walmart and Target, have both been making investments in pay. But they’re still behind Amazon. Target just last week said it would be increasing its its minimum hourly wage by a dollar, to $13, in June for all current and new employees. This is part of its already announced goal to hit $15 an hour by the end of 2020. Target’s rate is higher than rival Walmart’s $11-an-hour minimum, set in January of 2018, but is still below Amazon’s rate, which was hiked to $15 in November. Walmart has said, however, that its average worker earns $17.55 an hour with wages and benefits. Representatives from Walmart and Target weren’t immediately available to comment on Bezos’ comments. With U.S. unemployment at its lowest level in nearly 50 years, retailers have been finding it more difficult to attract skilled workers, and so raising pay is one way they hope to be more competitive in the marketplace for talent. Some of these companies have also received criticism in the past for poor pay and unhealthy working conditions. House Democrats are currently championing a bill to raise the federal minimum wage to $15 an hour, from $7.25, but it’s unlikely to pass. That said, six states across the country have approved laws phasing in a $15 minimum wage. Washington, D.C., currently has the highest minimum wage at $13.25, which is set to rise to $14 an hour on July 1.